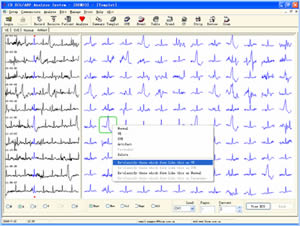 Each QRS complex is individually marked of its classification to ensure accurate and transparent analysis results. VE, VE pair, VE bigeminy, V-run, R on T, SVE, SVE Pair, SVE-run, pause, long RR, tachycardia, bradycardia, and atrial fibrillation. 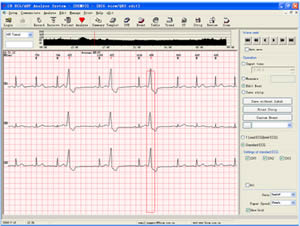 Arrhythmia, ST-segment, heart rate variability (HRV), pacemaker, atrial fibrillation, SAECG, and heart rate turbulence (HRT).